The 2011 British Silent Film Festival will be taking place 7-10 April 2011 at the Barbican Cinema, London. As was the case in 2009, the festival will run in conjunction with ‘The Sounds of Early Cinema in Britain’ conference, previously trailed on the Bioscope. The title of the festival will be Going to the Movies: Music, Sound and the British Silent Film. However, as one may judge from the programme highlights advertised so far, the festival is continuing the trend of the past few years of stretching beyond the confines of British silent cinema to look further afield – which I think is a good thing. 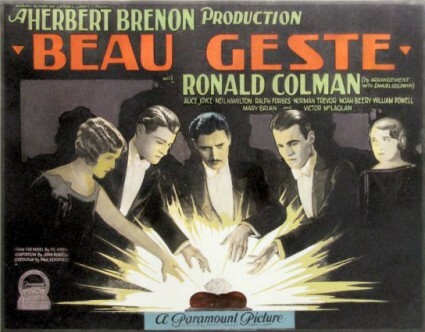 Music and sound in silent film will be our key themes during the four days of the 2011 British Silent Film Festival. A packed programme of rare silent films will explore how filmmakers communicated sound to cinema audiences through music and visual clues, what it was like to be in the audience of the ‘silent movies’ and how the British industry geared up for the talkies. Accompanied by the world’s best silent film musicians the programme will feature special events, presentations by special guests and unique archive film from the BFI, the Imperial War Museum and other collections. Including Cecil Hepworth’s Helen of Four Gates (1921) starring Alma Taylor, rediscovered almost ninety years after it was believed destroyed and Walter Forde’s 1928 comedy What Next? The Festival is organised in partnership with the British Film Institute. The conference is funded by the Arts and Humanities Research Council as part of its ‘Beyond Text’ programme, and organised in conjunction with Royal Holloway, University of London and the University of Edinburgh. Well, that looks like an interesting mixture of usual suspects and unexpected suspects. Among the usuals, my contribution will hopefully be a bit more than just me talking about the experiences of filmgoers during the silent era – I plan to be putting together an entertainment of some sort. Anyway, riches a-plenty, and it’s always good news to learn that the festival has managed to survive another year – no mean feat in these straitened times. More information will appear in due course on the British Silent Film Festival website. Will the lectures be recorded and made available for viewing? It’s not something that the festival has done before, so I doubt it.